We are always inspired by strong women and entrepreneurs at SIMPLY, so this year we wanted to do something truly special for International Women’s Day on March 8th. 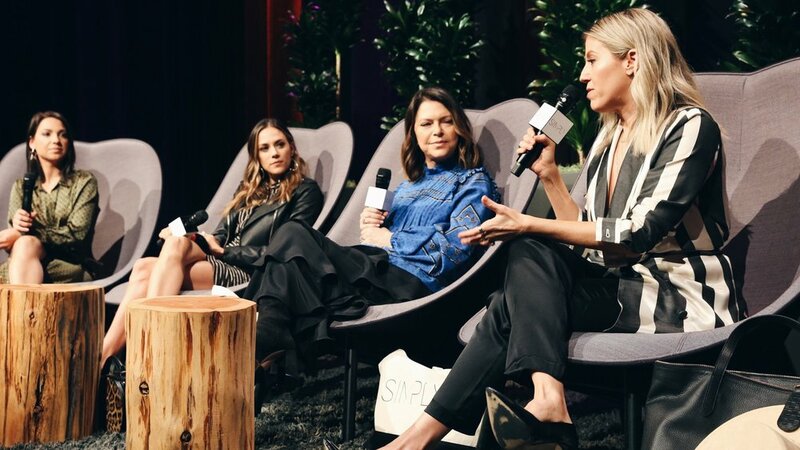 Timed perfectly with the launch of our new online course, “How To Build & Sell Your Business In 5 Years” which is taught by none other than SIMPLY founder Sarah Boyd, we hosted a panel of female entrepreneurs at the YouTube Space LA! The best part: all of our panelists ALSO have guest lectures in the new course! Our speakers—Elyse Walker, Jana Kramer, and Lindsay Albanese—are top entrepreneurs and influencers in the fashion, beauty, and lifestyle space. Over the course of the hour, they shared so many insightful pieces of advice. We live-streamed the panel all around the world, but just in case you missed out on the live panel, we ALSO uploaded it to YouTube so you can watch anytime! And a VERY special shout out to everyone at the YouTube Space LA who made this event go off without a hitch!